Asistencias were established by the Spanish as sub-missions of their Catholic Missions. Asistencias were smaller than missions, and did not have a resident priest. Rather, the father from the nearby Mission would travel to the various asistencias within his mission area to perform weekly mass. Asistencias, though smaller than the full mission complexes, did include a chapel, living quarters, workshops and crops. During mission times, asistencias were established by the Spanish from South America to Mexico and all the way to Alta California. Missions in Alta California generally add multiple asistenicas. The asistencias were set up were there was a measurable native population, but not a native population large enough to support a full mission. 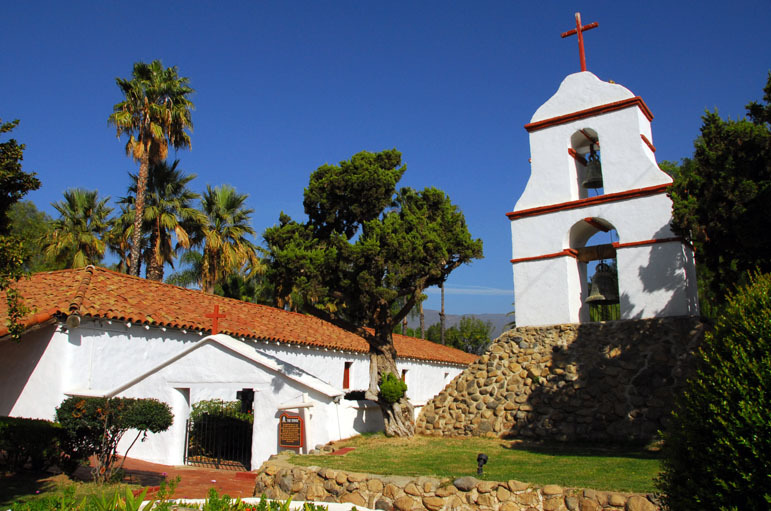 Today, several Alta California asistencias are still standing, including Pala Asistencia, sometimes mistakenly referred to as a mission, and the Asistencia Santa Margarita protected today on private land inside a barn.